Home / Archive by category "Pain"
For many of us, who suffer from injuries or pain, we eventually seek medical help. According to recent surveys, 80% of Americans will suffer from some pain at some point. Many of these folks, suffer from chronic pain- defined as pain that has persisted for more than 3 months. 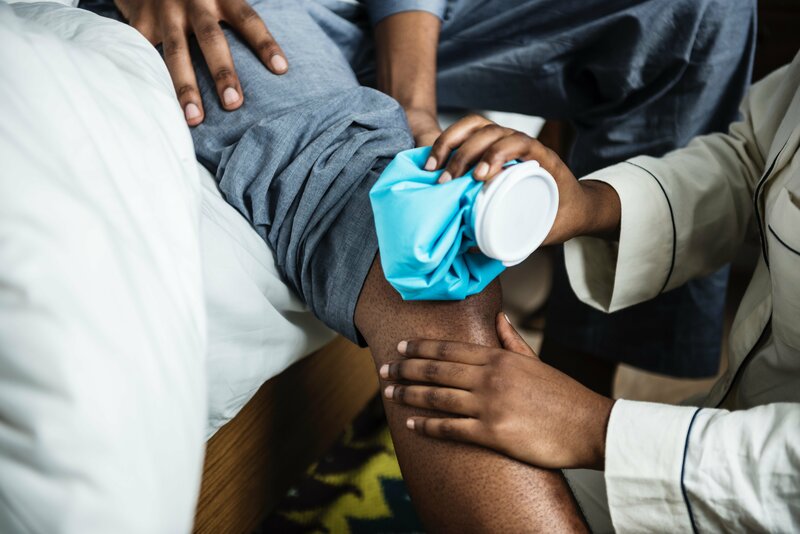 Current options to manage pain include a myriad of options from physical therapy, dry needling, anti inflammatory medicines and as a last resort opioids. Given the recent opioid crisis, there has been a substantial push to reconsider options to manage pain. Acupuncture has been around for thousands of years, some research even theorizing as early as 3300 BCE. It began in China, using finely sharpened tools, and has since developed into a widely used medical practice. It’s effectiveness has been appreciated for millenia, however, we have only recently began to understand how it actually works. It is estimated that about 2 billion people a year will get acupuncture treatments annually and it is used for a myriad of different conditions. There have been multiple research studies, using MRIs, blood tests, and other methods, which have shown some of the amazing results acupuncture can have on a multitude of ailments. A few studies have had patients receive acupuncture therapy, while a brain MRI was performed. This testing showed consistent activation of different parts of the brain, which control different functions in the body, including pain perception, and mood. For instance, studies comparing acupuncture and simple touching of the same areas (tactile stimulation), while an MRI was observing brain function, have shown that the amygdala and the hippocampus are deactivated during acupuncture, but not nearly as much during the tactile stimulation. These two areas of the brain are activated during stress, hunger, pain, and other negative emotions. De-activating these areas will decrease the body’s perception of these negative emotions, therefore helping to manage depression, over-eating, and chronic pain. Acupuncture can have chemical impacts as well. These impacts are due to the effects on neurotransmitters and endorphins, which help with mood and pain. Acupuncture has been shown to increase the levels neurotransmitters, such as dopamine and seratonin, while decreasing noradrenaline. Dopamine and seratonin play major roles in feelings of well-being and happiness. Noradrenaline is released during periods of stress, so decreasing the release of this neurotransmitter, can decrease the perception of stress. Additionally, acupuncture has been shown to increase endogenous opioid peptides, or endorphins, which are the body’s natural pain relievers. These studies answer some of the questions as to how acupuncture can help with depression, anxiety, and pain. each corresponding to a different body system. The acupuncturist would follow the meridian map, according to the patient’s medical concern, and place needles in specific areas along the targeted pathway. Doing so restores the body’s qi, and helps it flow smoothly through the meridians. Joanna Wroblewska, MD has a quite unique perspective to this. She is board certified in anesthesiology and pain management. On a typical day, she will treat patients with headaches, migraines, neck pain, back pain and even musculoskeletal pains such as joint pains. With over a decade of experience, she has developed an exceptional perspective on how pain affects patients, not just physically, but emotionally, psychologically and socially. westernized approaches. She integrates acupuncture with current western treatments to treat various conditions and her patients are benefiting from this approach. Acupuncture has various mechanisms of how it works. The most postulated theory is that it helps stimulate your body’s own neural and hormonal systems to help create a balance within your body’s environment. Acupuncture is no longer an exotic treatment, but rather a very well accepted form of medical treatment. Speak with our providers- Margaret Truesdell- PA-C and Joanna Wroblewska, MD to understand how acupuncture can have a lasting impression to benefit your health. We welcome you to experience this unique combination of western medicine and acupuncture! Han, J S. “Acupuncture and Endorphins.” Current Neurology and Neuroscience Reports., U.S. National Library of Medicine, 6 May 2004, www.ncbi.nlm.nih.gov/pubmed/15135942. Huang, Wenjin, et al. “Characterizing Acupuncture Stimuli Using Brain Imaging …” National Institute of Health, National Center for Biotechnology Information, 9 Apr. 2012, www.ncbi.nlm.nih.gov/pmc/articles/PMC3322129/. Hui, Kathleen, et al. “Acupuncture, the Limbic System, and the Anticorrelated …” National Institute of Health, National Center for Biotechnology Information, 27 Aug. 2013, www.ncbi.nlm.nih.gov/pmc/articles/PMC3754836/. White, A. “A Brief History of Acupuncture.” Rheumatology, vol. 43, no. 5, 2004, pp. 662–663., doi.org/10.1093/rheumatology/keg005. While chest pain should always be evaluated to eliminate issues involving the heart, many patients exhibiting chest pain find that their pain is due to muscles and nerves in the upper and middle back. The thoracic vertebrae are the narrowest part of the spinal canal, making them the most susceptible to issues of injury. Carolinas Pain Center can evaluate your thoracic pain and begin a course of treatment to help you manage this difficult condition. Pain in the shoulders and arms can be exhausting in addition to being painful. The act of reaching, typing, or carrying even the smallest object can be excruciating. Pain in the hands is just as debilitating and can affect even the most menial of tasks, like holding a glass, picking up a pen, or manipulating your computer’s mouse. The causes of these types of pain are varied and may include rotator cuff or inflammatory conditions, muscle spasms, or arthritis. Carolinas Pain Center can evaluate your shoulder, arm, or hand pain and get you started on a course of treatment to eliminate this pain from your life. Pain in the lower abdomen and groin areas can be incapacitating. While this pain can often have a surgical solution, it is not uncommon for the pain to persist even after surgery. It can affect such simple tasks as walking or sitting, making exercise or recreation almost impossible. In some cases, even sexual activity may become affected. The goal of treatment for this kind of pain at Carolinas Pain Center is to determine the cause, whether due to injury, infection, inflammation or nerve trauma, and then to apply a specialized, multidisciplinary approach to pain management that will have you leading a normal life as quickly as possible. Pediatric pain management must involve highly specialized and sensitive care for these unique patients. Pain in children is often difficult to assess due to the limited ability of the patient to verbally communicate what he or she is feeling. While an adult may ask for pain relief medication or therapy, a child often does not understand this option and does not ask for help. While an adult may tolerate an aggressive treatment plan, children often do not respond well to this. Adults are often able to continue to function in their daily routines of work and household management, even in social settings, but children are not able to function at this level. Missing school, and not feeling well enough to be with friends can often result in an unhealthy detachment. Their physical pain can lead to anxiety, depression, and even a withdrawal from the family members seeking their well-being. This makes treating pediatric pain even more challenging. Neck pain is a difficult condition to bear, both physically and mentally. Carolinas Pain Center understands the devastating impact it has on patients. Our state-of-the-art treatments and multidisciplinary approaches to each individual case will help you manage your neck pain and return you to a normal life as quickly as possible. Pain in legs, hips, knees, ankles, and feet can be life-disrupting. Simple daily tasks become excruciating, and exercise or recreation must take a seat for awhile. Pain in the lower extremities can have causes ranging from wear-and-tear due to normal motion and function, to trauma or infection. This pain is manageable, and the Carolinas Pain Center can help you get it under control. Almost everyone will suffer some form of lower back pain during their lifetime. It is the most common cause of job-related disability, according to the National Institute of Neurological Disorders and Stroke. This often debilitating pain interferes with every aspect of daily life, from tasks as simple as getting dressed, to preparing meals, to sitting in a chair, let alone the more strenuous activities like sports and exercise or recreation. Few things can be more excruciating than chronic head and facial pain. Simple daily tasks become unbearable chores. It can be impossible to focus on even the simplest mental task, and sleep becomes something dreaded rather than something restful. A thorough consultation can provide accurate diagnosis as to the cause, and a comprehensive multidisciplinary approach to pain management can get you on your way to managing the pain and returning to a normal life. There are a variety of different procedures and types of head and facial nerve blocks that can be useful in pain treatment.